This beautiful home awaits new owners in San Lauren! This home boasts a very desirable floor plan and an incredible back yard with a Koi pond, Pergola, and covered patio for fun summer nights. Kitchen opens up to a nice-sized family room. There are great extras in this home to enjoy : indoor laundry, linen closets, great storage and walk-in closets. Home is on solar. Make your appointment today! Information deemed reliable, but not guaranteed. Copyright Bakersfield Association of REALTORS®, 2019. All rights reserved. 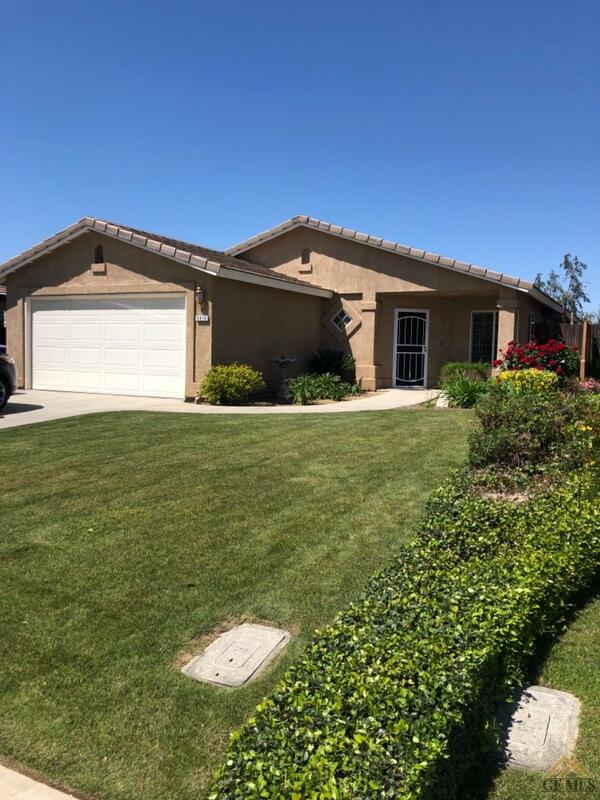 The data relating to real estate for sale on this web site comes in part from the Internet Data Exchange Program of Bakersfield Association of REALTORS®. Information provided is for consumer\'s personal, non-commercial use and may not be used for any purpose other than to identify prospective properties consumers may be interested in purchasing. This site will be monitored for \'scraping\' and any use of search facilities of data on the site other than by a consumer looking to purchase real estate, is prohibited. Listing broker has attempted to offer accurate data, but buyers are advised to confirm all items. Listing information last updated on 2019-04-19.